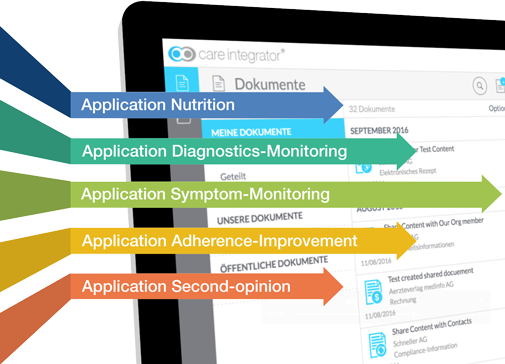 Care integrator can be customized to include advanced applications tailored to your requirements. Have your own application created in Care Integrator. Care Integrator offers you not only a broadly applicable solution with many standard features but also a solution concept tailored to your requirements. Because the applications in Care Integrator are tailored to your wishes and can be made available to your target customers at any time as required within the collaborative interface from Care Integrator. What can we offer you with the applications in Care Integrator? 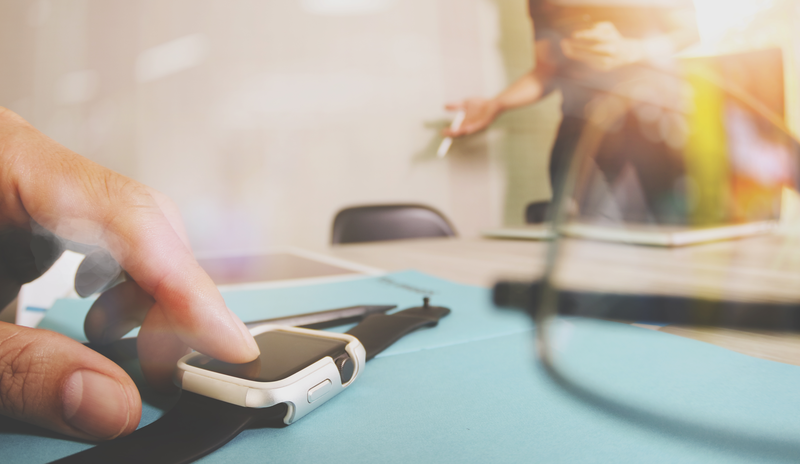 The standard Care Integrator solution includes numerous functions, such as the connection of devices, content management, eCRM, notifications, role management, interfaces and international standards such as IHE and FHIR. We do not have to start from scratch in order to create an application for you. Around 60-80% of the technical components you need already exist. The offers many advantages for you, such as 1.) the technology has already been tested and is known to work. 2.) because of the existing components, development is significantly faster than isolated solutions. 3.) development costs a lot less than in-house solutions. Who are the applications suitable for? All health organisations, such as life science companies (pharmaceuticals, medtech, diagnostics), insurance companies, hospitals, networks of doctors or suppliers to the healthcare industry, can have applications created that are tailored to their requirements. The health specialists at MEDUDEM AG help you to transform your requirements into digital applications. We accompany you from the beginning of the project right up to final creation of the application. The application is owned entirely by the creator – this means that you are contractually guaranteed the IP and can have the application removed again from Care Integrator at any time. You decide who to make the application available to and can even publish it subject to charge. We usually work through the problem with you in the form of workshops. With your professional teams (including legal, regulatory, pharmacovigilance) and our know-how in the field of digital implementation, we are able to formulate the initial ideas. The initial ideas are tested with the users involved, after which we write a concept that best meets the requirements. 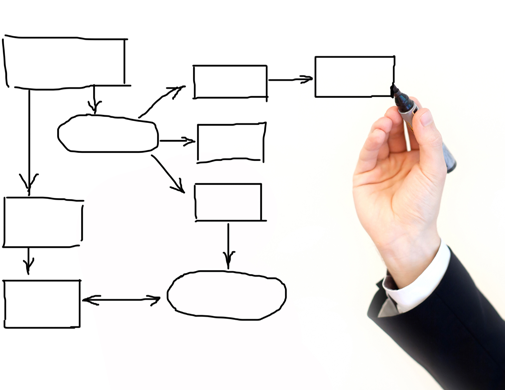 The requirement specification for programming is then formulated and an initial test case is created. After testing the test cases in practical application, we can incorporate any adjustments and programme the final application (real case).